I hate the feeling of wanting to write something, but knowing before you even start that it can’t possibly be good enough. It doesn’t happen to me often, but when it does, it’s paralyzing. 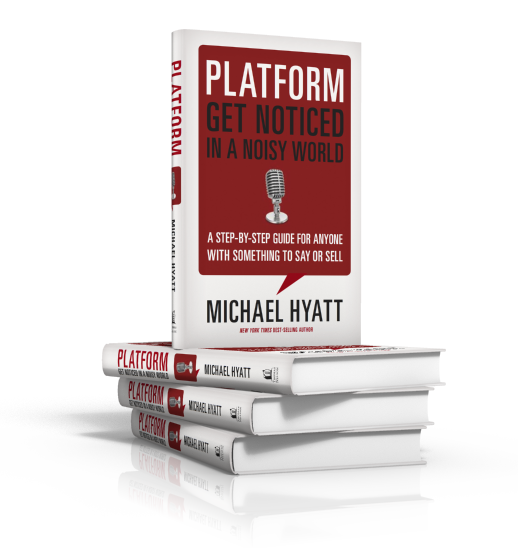 I read Michael Hyatt’s book, Platform: Get Noticed in a Noisy World, back in January. 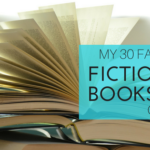 It was one of the first books I read for my 100 Book Reading Challenge. If I remember correctly, it took me less than two days to read it. I really couldn’t put it down. It’s been awhile since I’ve thought that about a book. It probably was when I read The Power of Less by Leo Babauta. I think I recommended that book to anyone who would listen. It changed my world. I felt similarly after reading Platform, although this time the changed world was the professional one, not the personal one. I couldn’t wait to share the things the book taught me with my students and with you through this blog. Then fear sat in. How could I capture the honest, thoughtful, simplicity of the book in a way that showed it justice? Platform was described as a “step-by-step guide to building your own (personal or business) presence.” The description fits. There are many things in the book I already knew, but the basics are balanced with practical advice and new information, which made me consume (not just read) it. The book’s key concept is breaking through the online clutter or “noise” to make your brand different, relevant and noticeable. To help the reader accomplish this goal, Hyatt offers advice on everything from blogging to social media and preparing a media kit for your brand. Hyatt’s credibility certainly legitimizes the book. He isn’t just another writer trying to sell you a book about things he purports to understand. He’s a former chairman and CEO of Thomas Nelson Publishers, a best-selling author and his blog, Intentional Leadership, has more than 300,000 subscribers. I read his blog and listen to his podcasts. He knows his stuff. Hyatt has used his knowledge (some of which was learned through funny trial-and-error stories he shares) to build his own platform. I’m sure this isn’t the last time I will reference Platform on this site. 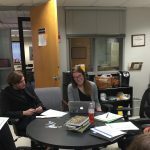 I took a ton of advice from it that I will use in the classroom and on this blog. For now, please take one tip from me. If you are interested (even remotely) in personal and business branding, read this book. Hey friends click here and get club penguin codes. Get the free hacking tools and cheats of big fish casino here http://geteasyhacksfree.com/big-fish-casino-cheat-hack/ at zero penny. Android is Open Resource and regulated by us. Android assists great deals of 3rd party applications and great deals of free and also paid apps are readily available in play codes. It’s resource could unbelievably user friendly as well as astonishingly simple investment towards acquire its 100 % free fifa coins. we generate free playstation codes to all countries now. No one need to search other country for.